Home » Fortnite » Fortnite Season 8 Release Date – Start Date of the Newest Battle Pass! Fortnite Season 8 Release Date – Start Date of the Newest Battle Pass! Season 8 is on the way, let's take a look at when it's going to start! We're getting really close to the release date of Fortnite Season 8! We're taking a look at the start date of this next season of the battle pass. Most seasons start right after the end of the prior season, and we expect that season 8 will be no different. It's a bit early right now to be making too many predictions about Season 8, but there have been some small leaks here and there. We're getting more information about earthquakes and volcanoes, and you might recall volcanoes being a rumor in the past. Season 6 had some talk of these, but it ended up being the floating island coming out of Loot Lake rather than the near destruction of the island due to volcanic activity. 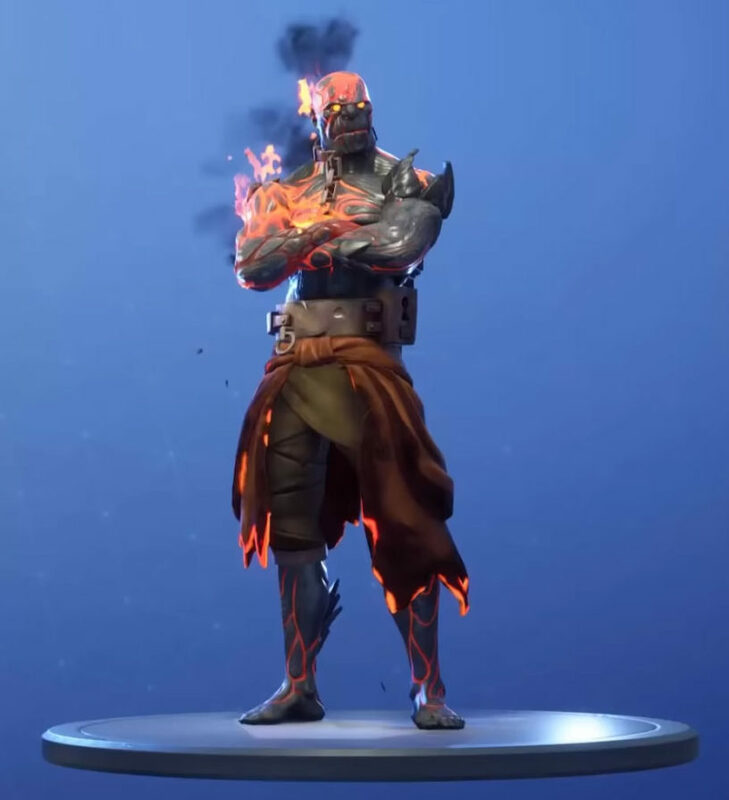 This time we might have a bit more proof of it with The Prisoner skin and its final stage being on fire and looking kind of like lava under his skin. Nothing is certain though, we'll take a deeper look at the leaks below! The official release date is unknown at this time, but we know the Season 7 will end on February 27th, 2019. This is a pretty long gap after the 10th week of the Season, which apparently is making up for the time Epic took off over the holidays. If there's no delays or issues with the next battle pass then Season 8 will likely start on February 28th, 2019. If you've missed out on previous lead ups to new season, we usually get official word about what's going to happen about three or four days prior to the release. Keep a look out on Epic's Fortnite social media accounts as they will start posting teasers with bits and pieces about what's to come! Take all of this with a grain of salt, but there have been some leaks on the lead up to Season 8. It mostly seems to be some kind of catastrophic event, with an earthquake that will shake things up on the island. The Prisoner skin looks to be potentially involved in whatever is going forward, and I like that because the previous hidden skin (A.I.M.) ended up being a dud in terms of lore. The best leak we've seen so far are these sounds that were found in the files of what appears to be an earthquake. I wouldn't be surprised if these sounds are going to be heard in-game randomly. You'll probably just be running around and start to hear the rumblings as part of the lead up to the new season. The earthquakes could be potentially leading to a catastrophic event of some sort that could maybe bring volcanoes or some other big changes to the map. We'll be keeping an eye out for more potential leaks and updating this guide on the way to the release of Season 8! Dude, leakers found a way to get on the fortnite season 8 website page, and they posted a image of the description of season 8, it says about changes to polar and tilted! You’re right! I forgot they had a couple weeks off for the holidays so it pushed it back. Thanks! February 28 is my birthday! gonna be a lit b-day! The Wailing Woods & Lonely Lodge area seems likely for the event since it’s just about the oldest part of the map and hasn’t gotten a big update.